Urgently need few phone calls to authorities to put pressure regarding arrest of Gopal Debnath, HS worker. Gopal Debnath, resident of Nandigram, father of 2 children, is incharge of HS of Poorva Medinipur district. His photo is attached. This district is a very stronghold of Jihadi Muslim activity. Common Hindus are really at receiving end of Jihadi atrocities/torture. HS work has created a ray of hope to the Hindus. Hence, Jihadi forces are leaving no stone unturned to stop our progress. They have put pressure on Suvendu Adhikari, perhaps uncrowned king of East Medinipur dist, TMC leader, Minister of Mamata govt., MLA of Nandigram constituency, ex-MP of Tamluk constituency. His father and brother are MPs from 2 other constituencies, another brother is an MLA. This whole Adhikari family runs the district by TMC. Under pressure of jihadi forces, Suvendu Adhikari instructed police to put Gopal Debnath in jail in totally false case. Police obliged, arrested Gopal on 11.12.16 in a FALSE CASE of Motorbike theft in Mahishadal PS. Shown false recovery. Gopal cannot drive two wheeler. He was put under police custody for 10 days. Then granted bail by Haldia Court on 4.1.17, after long 24 days of his arrest. But alas! He was not released from jail. Another police station, Bhabanipur PS lodged another theft case against Gopal, forging all documents of an earlier case of theft (on 15.12.16) when Gopal was in jail custody. Shameless spineless police changed the date by over-writing (making it 9.12.16) on multiple pages of police documents. Hon’ble Judge (Haldia court) caught it instantly and scolded police during court hearing on 4.1.17. Judge even said that he would put circle on those dates and would himself signed below those dates so that police can’t do further mischief. Police sought again 10 day police custody. But judge granted only 3 day Police Custody. This is the circumstance. We’re apprehending that more harm to Gopal may be done by police. The lower level police officers are really spineless and corrupt. 1st Case No. Mahishadal PS 436/16. 2nd case no. 326/16 of Bhabanipur PS. dt. 9.12.16. (over writing). Original complain on 15.12.16. I.O. Panda babu – 9647331804. O.C. – Gopal Pathak – 9083269740. 1) Why police doing illegal acts? 2) Why harassing a non political Hindu activist? 4) Why becoming slave of political masters? 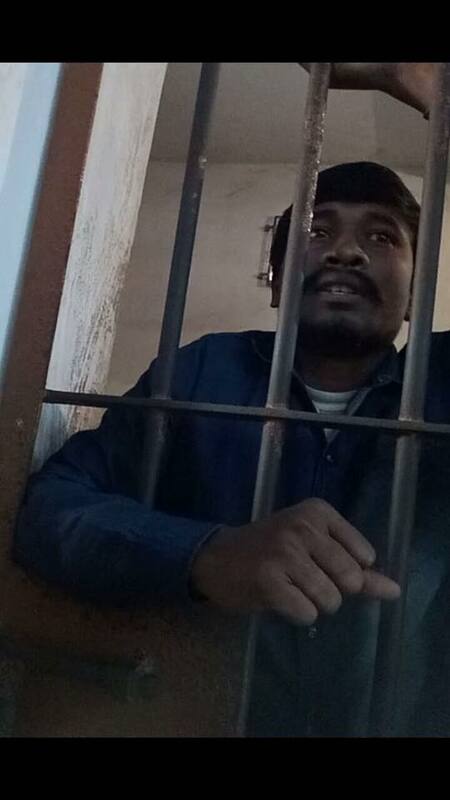 5) Why empowering pro Pakistani Jihadi forces by arresting important Hindu activist with no fault. 6) We (you) will do everything for justice of Gopal. 7) We (you) will approach to International Human Rights bodies and will widely propagate it by American Media.